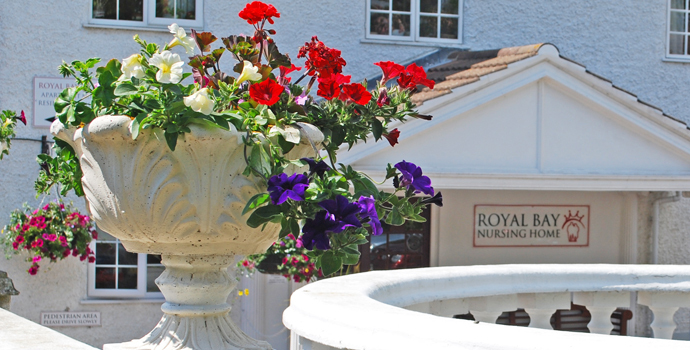 Royal Bay Care Homes specialise in assured retirement living, providing quality care homes in a number of locations across Dorset, West Sussex, Worcestershire and Northamptonshire. We are actively pursuing Gold Standards Framework Accreditation status for all of our homes, to see which homes are accredited and the progress of the other homes click on the logo below. Sorry, that page is currently unavailable. At the end of April, Claremont Lodge Care Home in Chichester welcomed back the inquisitive young children from Great Ballard School. With the fantastic weather at the rest home in West Sussex on Friday, both the little ones and our residents at Claremont Lodge enjoyed a great afternoon in the sun. 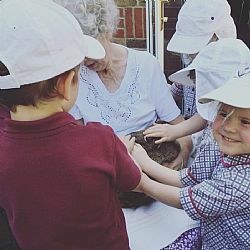 During the afternoon the nursery children were able to meet the happy Claremont Lodge bunny and watch him run and hop around the peaceful gardens residential care home in Chichester. We are all looking forward to welcoming them back soon!